In every human endeavour/enterprise, a tiny elite (1% or Less) lead the way, blaze new trails, change the game, break the mould and disrupt. They make a difference to themselves and others, achieve the best results and outcomes, in the best way and gain the best rewards, and bring into existence what previously didn’t exist before; they are Pioneering Leaders. Despite being one of most important things in the universe, more important that all the knowledge in the world combined, Pioneering Leadership is little known and even less understood, and is used only by an estimated 1% or less of the population, who are mostly Natural (Born) Pioneering Leaders. 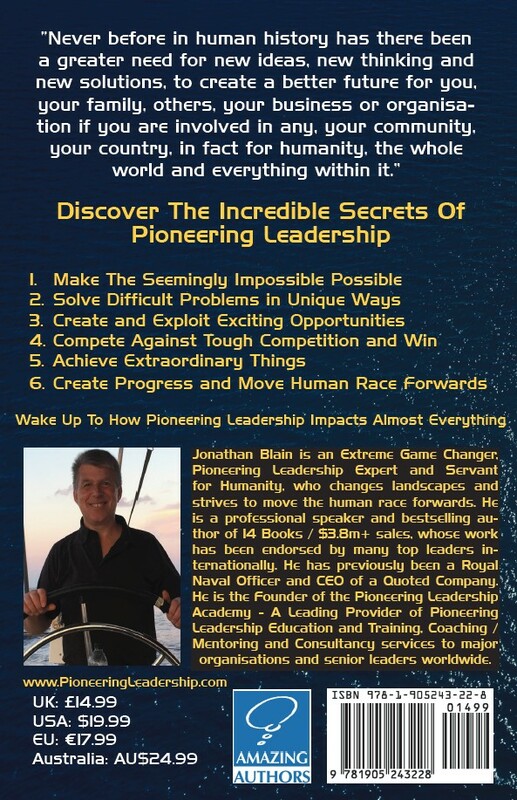 Pioneering Leadership is a high level “modus operandi.” It is like a computer operating system, that runs in the background, mostly unseen and unrecognised, and impacts all that we do, without us usually having any conscious awareness of it. There are only two high-level modus-operandi, Pioneering Leadership and Non-Pioneering Leadership; they are as much an interdependent pair as Yin and Yang, Male and Female, we need both. Non-Pioneering Leadership is based mostly on the known, knowledge and experience, whereas Pioneering Leadership goes further, venturing into the unknown, and the metaphoric uncharted waters. Pioneering Leadership involves the use of imagination, which Einstein claimed was more important than knowledge, hence the positioning of Pioneering Leadership as the most powerful strategy on earth. Pioneering Leadership represent the whole, knowledge and imagination; the whole is always greater than the part, which is why it is the most powerful strategy on earth, that drives progress and moves humanity forward. Pioneering Leadership is more than just innovation, while all pioneering is innovative, not all innovation is pioneering. You can use Pioneering Leadership, even if you are not a natural born pioneering leader, by either learning to use it yourself, identifying team members with the skills or bringing in external help. Even the best natural Pioneering Leaders only use it some of the time; it is crucial is to discover the situations where it is likely to be the best and most appropriate strategy. How to gain maximum benefit from using It. A shared understanding so people can work together to use it and achieve benefits. 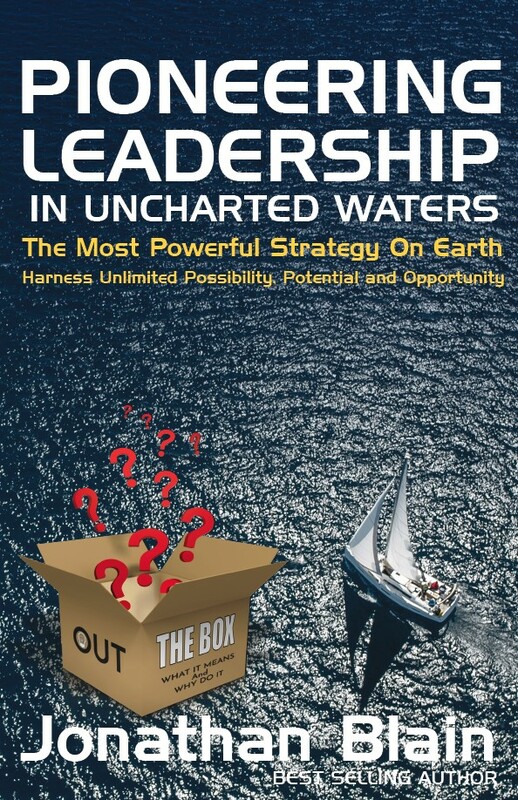 Most people won't be interested in Pioneering Leadership, not because it is the most powerful strategy in the world, that offers the infinite possibility, potential and opportunity, but because it involves having the courage to change, to break free from others and truly lead, overcoming years of conformity, conditioning, habits and default responses. It is this fact that enables Pioneering Leaders to achieve extraordinary things. This could be the most significant book you read in your entire life.